In conjunction with the Rendering the Visible conference, on Friday February 9th liquid blackness will host a reception and conversation with Professor Thomas F. DeFrantz about its research project “Figuring Suspension: A Study of Visual Recording Artist Storyboard P,” a study of movement, affect, synchronization, black performance theory and animation. Storyboard’s previous work includes collaborations with Arthur Jafa, Kahlil Joseph, Jay-Z, and Erykah Badu. liquid blackness extends its support to #ArtActionDay which marks the anniversary of the J20 art strike of Inauguration Day last year. Joan Jonas, Glenn Ligon, Shirin Neshat, and Mickalene Thomas are among the artists who will launch the first #ArtActionDay on January 20, 2018—the one-year anniversary of President Trump’s inauguration. Today, a coalition of artists, cultural organizations, and companies like Tumblr and Spotify will host nationwide readings, panel discussions, workshops, and a special Spotify “creativity boost” playlist curated by artist Laurie Anderson. Brought together by Laurie Anderson, Laura Michalchyshyn, and Tanya Selvaratnam, we believe in the need both to heighten our sense of our shared humanity, to work for equality and justice, and to communicate visions of what our world could be. We believe in engaging audiences to secure a more democratic future. The arts must serve as a catalyst to achieve these goals. The graduate program in Moving Image Studies at GSU presents “Rendering (the) Visible” III: Liquidity,” February 8-10, 2018. Conference panels, film and dance performances, and keynote lecture will explore the concept of liquidity as an innovative critical approach to the image’s relation to space, sensoriality, and digitality, as well as an aesthetic sensibility attuned to the political ontology of motion, form, matter, and noise. Over the past several years, liquid blackness has been exploring some of the implications of these ideas, specifically in relation to race. “Rendering (the) Visible III: Liquidity” connects this concept more broadly with an increasing turn within the study of moving image culture toward affective relations, plasticity, resonances and flows, whereby images and sounds—no longer grounded in an analogical relation to the real—are seen variously as malleable, untethered, “viral,” or fluid. The conference opens Thursday evening with a screening of 3-D video work by Marc Downie and Paul Kaiser (OpenEndedGroup). Friday evening features a dance performance by Storyboard P, followed by a discussion with the dancer and Dr. Thomas DeFrantz (Dance; Theatre; and African American Studies, Duke University) in the Five Points MARTA station downtown to be followed by a reception at CMII hosted by liquid blackness for conference attendees and their guests. Saturday evening, Dr. Grant Farred (Africana Studies Research Center, Cornell University) presents the keynote lecture, followed by a closing reception. The dance performance Friday is presented in conjunction with the Atlanta Mobile Music project. Performers will dance to the music of Atlanta’s commute, accompanied by a Spotify soundtrack of commuters’ music preferences, collected from actual MARTA riders in the months leading up to the event. This community outreach effort encourages commuters to engage with their fellow citizens through their shared love of music. Mobile devices can insulate us from each other by offering an escape to a private virtual world, but we hope that this playlist and performance will figuratively pop the “audio bubbles” that separate people from their fellow commuters. The full conference schedule is accessible here. liquid blackness invites contributions to its newly released black digital study project, lb empyre, This “twine” gathers a streamlined version of a conversation that occurred over the month of April 2016 on the listserv –empyre- soft_skinned_space a global community of new media artists, curators, theorists, producers, who participate in monthly thematic discussions via an email listserv. We invite contributions to be curated and added to the original conversation, which can then continue to grow in an organic manner. As a form of black study in digital space, lb empyre can provide helpful pedagogical tools to the undergraduate classroom, the graduate seminar, or to scholarly research about new ways of thinking the interplay between blackness and aesthetics, form and politics, or identity and form. 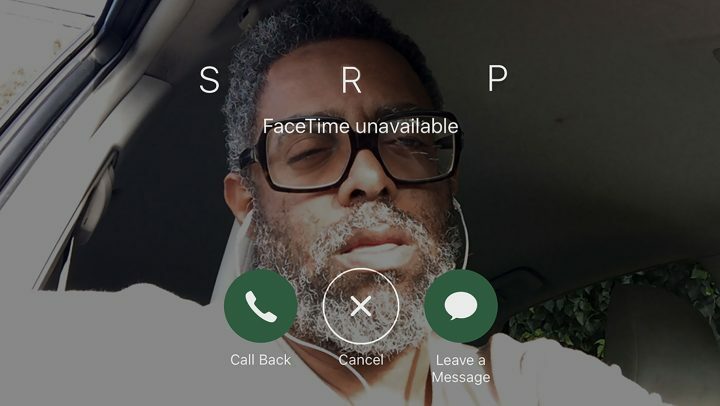 In conjunction with the exhibition, “Shadow Play,” currently on view at the New Museum and particularly the screening of its centerpiece film, “Fly Paper,” critic at large Hilton Als profiled video artist, Kahlil Joseph for the November 6th issue of The New Yorker. Describing “Fly Paper,” as Joseph’s most personal film to date, Als reviews Joseph’s personal life and artistic background, including his work with Beyoncé for Lemonade and his friendship with cinematographer, Arthur Jafa. “the suspended aesthetics of Joseph’s film not only critique the specious task of representing blackness, they disrupt the cultural logics that are sustained—literally grounded—by blackness.” Read the full essay here. liquid blackness is pleased to announce the release of journal issue 4:7: “Holding Blackness: Aesthetics of Suspension,” inspired by the work of video artist and director, Kahlil Joseph and our event and symposium, Holding Blackness in Suspension: The Films of Kahlil Joseph hosted in the fall of 2016. The issue is available in full from the link or by individual article. Please read and share! We will also be continuing our examination of suspension in the next issue. CFP forthcoming in 2018. Kahlil Joseph: Shadow Play is currently on view at the New Museum and includes the debut of Fly Paper (2017). According to the New Museum website: “Fly Paper is a new film installation that departs from Joseph’s admiration of the work of Roy DeCarava (1919–2009), a photographer and artist known for his images of celebrated jazz musicians and everyday life in Harlem. With Fly Paper, Joseph extends DeCarava’s virtuosity with chiaroscuro effects to the moving image and brings together a range of film and digital footage to contemplate the dimensions of past, present, and future in Harlem and New York City. Joseph’s new film also touches on themes of filiation, influence, and legacy, marking a personal reckoning that intuitively calls upon his connections to the city through his family—and in particular, his late father, whom he cared for in Harlem at the end of his life. Fly Paper’s dynamic yet contemplative mood also builds on Joseph’s sense that layers of lived experience—and stories—are sedimented in the places that have played host to the aspirations and daily lives of countless individuals.” Read more on Shadow Play and Fly Paper here. liquid blackness also extends its congratulations to Joseph for his recent win of the Film Craft Award for cinematography for Process at the 2017 Cannes Lions Festival of Creativity. Arthur Jafa’s “Love is the Message” featured at Met Breuer through September 3rd. Writing for hyperallergic, Cynthia Cruz sees the films as “four separate conversations about the body that inform and overlap with each other.” Read more here. liquid blackness is pleased to share the CFP for the next Rendering (the) Visible. As the cfp states, the graduate program in Moving Image Studies at Georgia State University has, over the past several years, been exploring some of the implications of liquidity, specifically in relation to race, via our research group liquid blackness. Now, however, we wish to explore the ways in which the concept of liquidity might begin to chart new ways to understand the image’s relation to space, sensoriality, and digitality, as well as to develop an aesthetic sensibility attuned to the political ontology of motion, form, matter, and noise. Abstracts are due October 20. Please share widely. The conference will be held February 8-10 2018 in the School of Film, Media & Theatre at Georgia State University.